...Why do I want to burst into a chorus of "Weasley is our King"? - Computer Programming Technology notes!! ...Why do I want to burst into a chorus of "Weasley is our King"? These systems outputs generally take paper form (but not necessarily). Paper is the default media, but you should not ignore some of the alternatives. Generally speaking, outputs fall into three sorts of categories. The most frequent type of systems output on paper or otherwise is a detailed report. If you consider the data from which the reports are derived, chances are you’ll have a data file with any number of entries. Typically, on a detailed output, you get one detail line for every entry in the data file. Chances are, the data file will be indexed by physical location. So it’s a one-to-one relationship from the data file to the detailed report. You can introduce qualifiers detailed reports so there are exceptions ... for example, flagging obsolete information, etc. There’s a traditional illustration of these in the brown text book on page 559 (where it’s at the very rough design stage). Detailed outputs are generally multi-page/-screen, so be sure to take that into account. Brown text, page 554-555, also has examples of detailed reports. Reports going to clients are generally referred to as presentation quality. The ones designed for inside of the organization can be draft quality. Page 557 (damned brown book) contains charts, which are a viable, often times feasible, form that a systems output can take, in place of or in addition to the traditional systems output text/numbers. 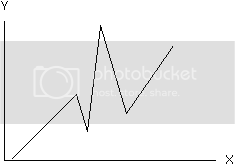 (1) Line Charts -> good for representing singular or compound trends. 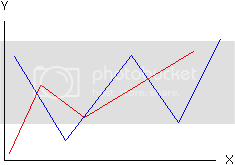 TIME is normally on the X axis. 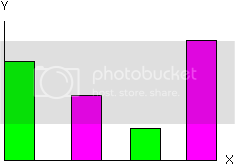 (2) Bar Charts -> can be vertical, horizontal, singular, compound...they show relationships. 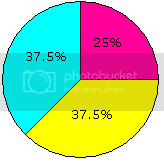 (3) Pie Charts -> useful for showing a composition or categories of something of the whole – a breakdown. "HE NEVER LETS THE QUAFFLE IN!" Thankee :) The first one is almost EXACTLY what Patstone had on the board, lol. The only part I really miss you is when Peter does a bunch of diagrams and then talks really fast on purpose to vex me. "Chris, Lesley's copying my work!" "Chris, Kaytlyn's being a whore!"